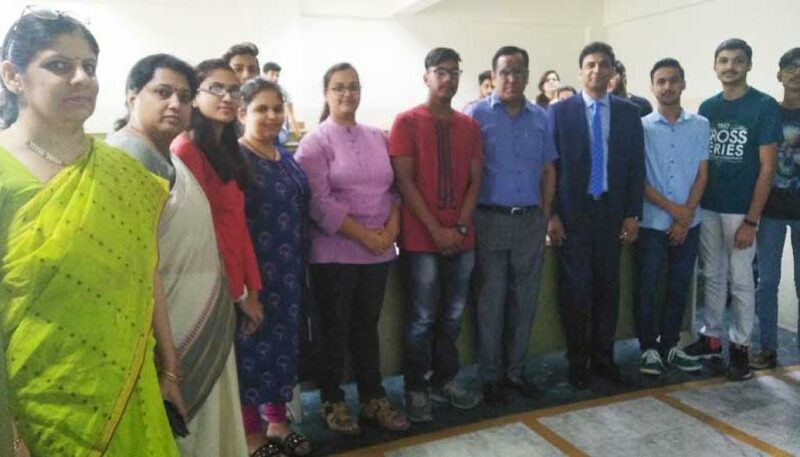 Department of Commerce, Faculty of Commerce and Business Studies organized an extension guest lecture on Corporate Culture and Issues by Mr. Sharad Verma recently. 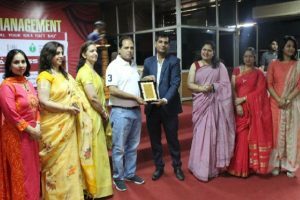 Sharad Verma is Sales Head – India (North, East & Gujarat) at Johnson & Johnson Vision Care, Inc. He is Experienced Sales Head with a demonstrated history of performance and working in the medical device industry. 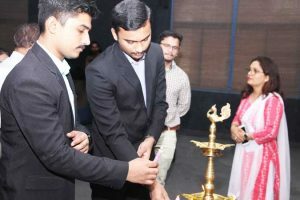 He is a strong business development professional skilled in Marketing Management, Market Planning, Sales, Key Account Development, and Business Development. Mr. Verma started his session by saying that Small things in your life give you some insights which can change your future. 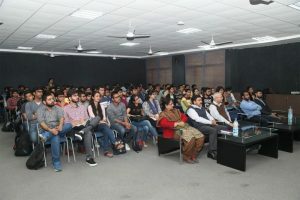 He emphasized that single person cannot have the understanding of multi-culture, therefore, a team is required to work in a corporate sector. He also said that employee behaviour is influenced by the culture of corporate, he/she is working in. 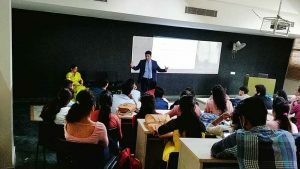 Mr. Verma readily answered all the queries put up by the students on career and scope for a commerce graduate in health industry. The session was highly informative and motivating.